Article Update ! 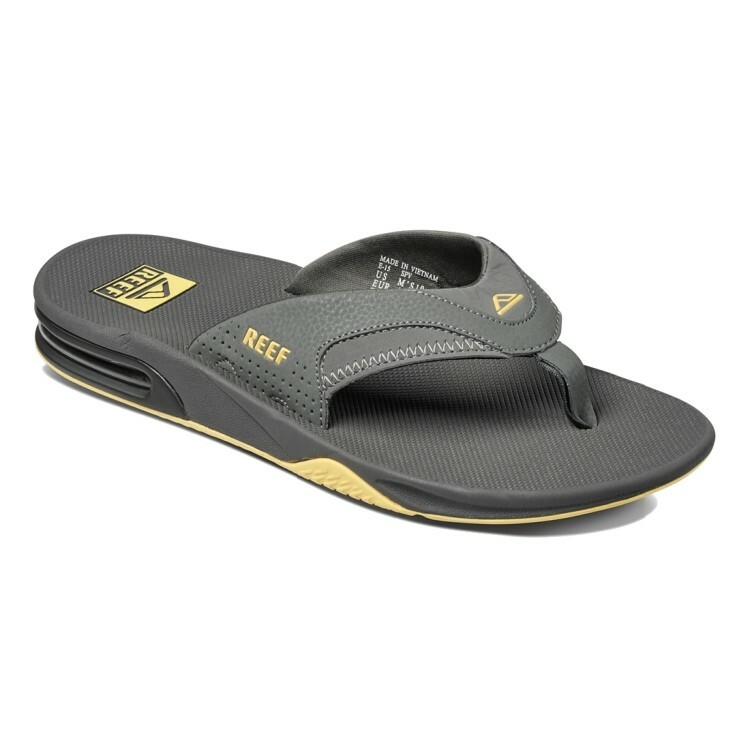 With Summer 2016 already gone the mick fanning reef sandal has been a major selling flip flop throughout the world, its not just the great looks and the brand REEF , but these things are sheer comfort. No pain between the toes despite wearing them for extended periods and you can walk across the most rocky road and not feel the discomfort the tough sole plate and air pocket protect the foot. Seriously tropical road tested. For an alternative to the Reef Brazil try Haivanas! 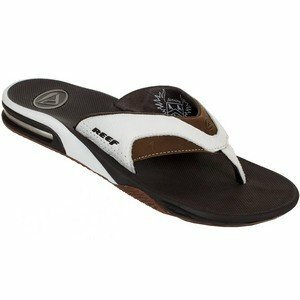 With the new Reef sandals out we thought we would show the best ones. They have leather mixed with more synthtic materials but there is no denying how striking the white looks against the leather. I would be wearing a pair of these on the beach if I can get them. We've seen it. EVERYBODY is sportin' Fanning bottle opener sandals nowadays. But who's got a leather pair? The Leather Fanning Reef Sandals still have the customary bottle opener located on the outsole and the heel air bag but these also feature a luxurious leather strap and strap lining. A real stylish beach accessory.